The inaugural Seven Peaks Music Festival in Buena Vista in 2018 drew thousands of fans. The second Seven Peaks Music Festival will be held in the Chaffee County town from Aug. 30-Sept. 1. For concert goers, Colorado's outdoor venues are bucket list stops. And with a wide range of musical artists from a variety of genres, this summer is sure to have a performance you can't wait to see. Take a look at our picks for the summer concerts you don't want to miss. 11th Annual MeadowGrass Festival (May 24-26, Black Forest) - Kick the summer off with up-and-coming musical acts, yoga, workshops, activities for kids and beer tasting. Head here for tickets. Garth Brooks (June 8, Broncos Stadium at Mile High) - The man well known for having friends in low places is playing the home of the Denver Broncos this summer. Head here for tickets. Stevie Wonder (June 24, Red Rocks) - The legendary singer/songwriter will make his first ever appearance at Red Rocks when he opens up the festivities for SeriesFest, the TV and pop culture festival held in Denver every summer. Grab you tickets here. Kacey Musgraves (June 26, Red Rocks) - Earlier this year Musgraves took home a handful of Grammys. See her in person at Red Rocks this summer. Go here for tickets. Hammer's House Party Featuring M.C. Hammer (July 19, Fiddler's Green) - Parachute-pant-wearing rapper M.C. Hammer brings his friends Sir Mix-A-Lot, Biz Markie, 2 Live Crew, the Funky Bunch and Sisqo to Denver. Head here for tickets. Beck and Cage the Elephant (July 23, Fiddler's Green) - Beck Hansen, better known as just Beck, is certainly no "loser" as he brings Cage the Elephant with him to Colorado. Head here for tickets. Jason Aldean (July 26, Fiddler's Green) - The country crooner from Georgia performs with Kane Brown, Carly Pearce and Dee Jay Silver. Head here for tickets. "Weird Al" Yankovic with the Colorado Symphony (Aug. 1, Red Rocks) - The man known for such hit songs as "White & Nerdy," "Word Crimes," and "Dare to Be Stupid" joins forces with the Colorado Symphony. Head here for tickets. Dave Chappelle and Jon Stewart (Aug. 9, Red Rocks) - Comedic heavyweights Chappelle and Stewart take their show on the road. Go here for tickets. Lost 80's Live (Aug. 10, Fiddler's Green) - Go back to the decadence with A Flock of Seagulls, Wang Chung, Missing Persons, The Tubes and The Motels. Head here for tickets. Mumford & Sons (Aug. 15-17, Fiddler's Green) - The foursome from London sold out their August 15 and 16 shows so fast they added another. Get your tickets here. Dave Matthews Band (Aug. 23-24, Fiddler's Green) - The rock/jazz/pop/funk fusion band plays two shows in Denver this summer. Head here for tickets. 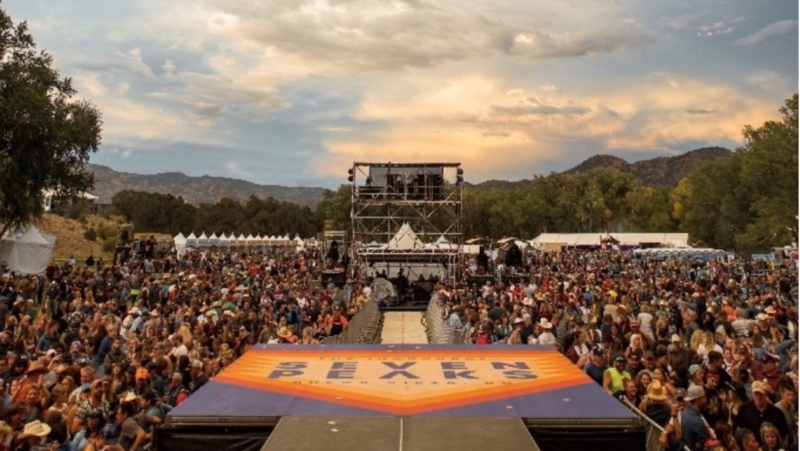 Seven Peaks Music Festival (Aug. 30-Sept. 1, Buena Vista) - Country stars Dierks Bentley and Luke Bryan will headline Seven Peaks Music Festival in Buena Vista over Labor Day weekend. A special lineup of ‘90s-inspired country music, planned for Aug. 30, will feature Travis Tritt, Tracy Lawrence, Diamond Rio, Deana Carter and Bentley’s own ‘90s cover band, Hot Country Knights. Head here for tickets.